Here's a catch up .. 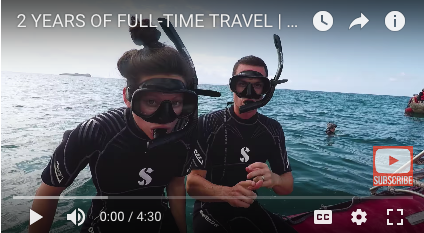 I found this Post really interesting .. it's an income breakdown from Kara and Nate who are Full-time Travel Vloggers. There are a few Internet Marketers who share their income reports, but to see how it breaks down for these Video Creators is useful. They have 220k YouTube subscribers which is big - but not that big! You can check the rest and also the expenses yourself .. but I think you will be inspired by their multiple sources of income, lessening the risk. Yes, the Ad revenue is impressive - but I think having an Online Course with an email list of buyers (they promote as an affiliate too) is great insurance against any sudden changes with YouTube that could crush Ads revenue and dent their income! Hint: that's one reason why I teach my folks to create Online Courses with Video! Thanks goes to a Video Hero Member (John from MrHomefinder.com) who mailed it to me from the US since I had issues getting one here in the UK. 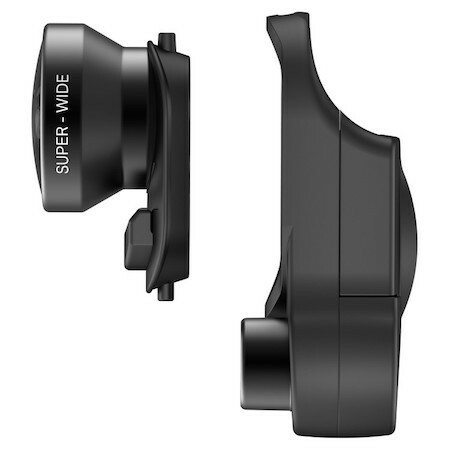 The reason I wanted this lens is simple .. because unlike many other wide lenses it can be used on both the Front and Rear facing cameras. 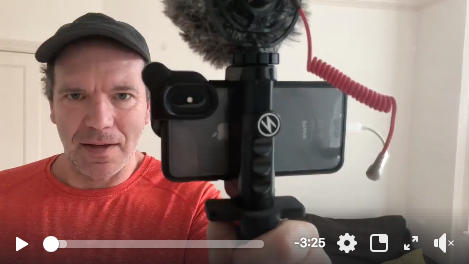 The front facing lens on the iPhone is not that wide at all, meaning you have to stretch your arm out a lot and it doesn't include much background (which adds more flavor to your talking heads) ... so if you film yourself or want to include a second person in shot (eg. for Live Video) then clipping a wide lens on is useful. 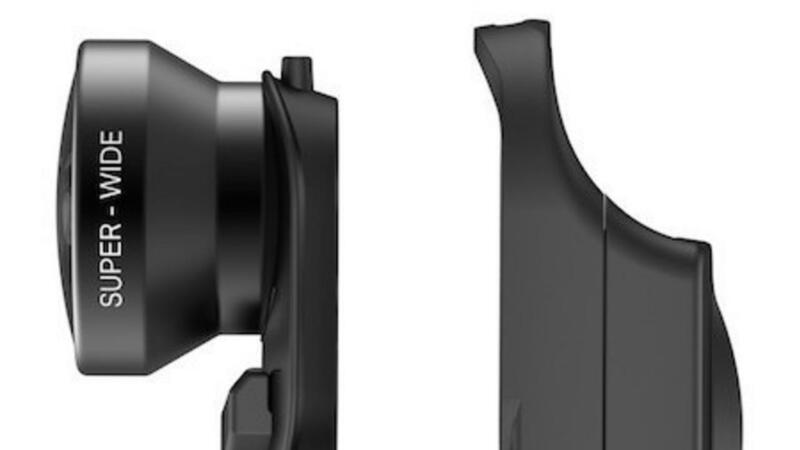 Being able to use it on the Rear facing camera too is obviously a benefit for landscapes, interiors, filming in shops/ businesses (great for Ads) and for doc style shooting of groups where you can get up close and personal but still include more people in the frame. Anyway .. go check this informal Video of me testing the Olloclip in my living room and see what I actually think of it in action! Tip from inside the Video Hero Members area .. If you have a 2x Telephoto Lens (twin lens) on your iPhone (7+, 8+, X) use it when you shoot talking heads. This focal length is simply more flattering on the face than the '28mm' standard lens .. it's like a 56 mm lens on an old 35mm camera. Make sure you have enough light though, and ideally a tripod or stabilizer (since it picks up shake more), the telephoto will perform much better when the light is good. 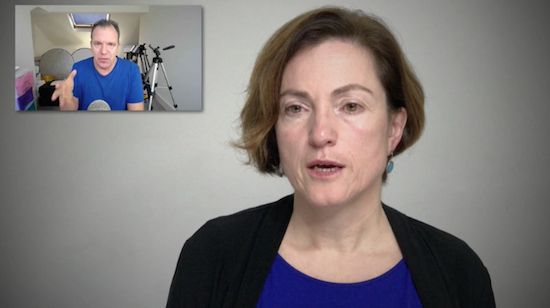 Here's a still frame from a behind the scenes Video Case Study I filmed on an iPhone 7+ in a small room (12 feet x 9 feet) with a super easy setup. It looks TV quality! Crazy what can be achieved with the HD Camera you already own and a plain white wall!